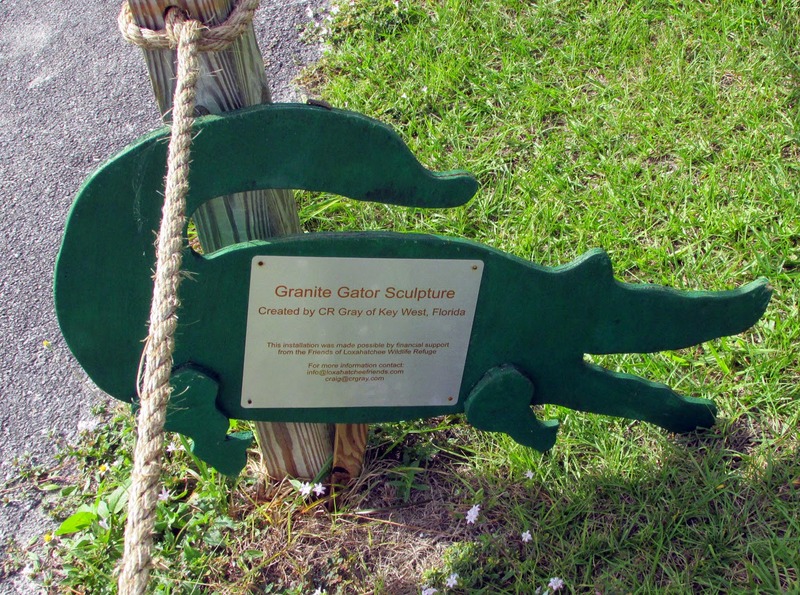 Among the flora and fauna of the northern Everglades nature preserve known as the Arthur R. Marshall Loxahatchee National Wildlife Preserve in western Boynton Beach, Florida sits a decidedly more man-made bit of wildlife. 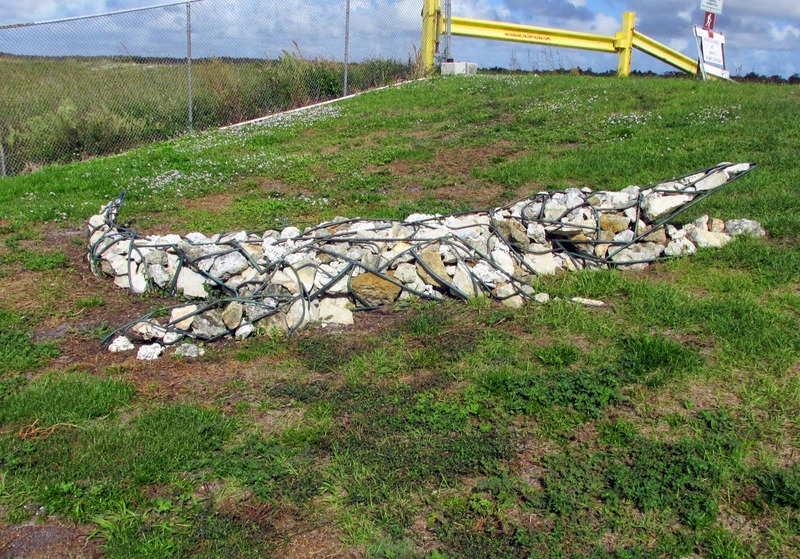 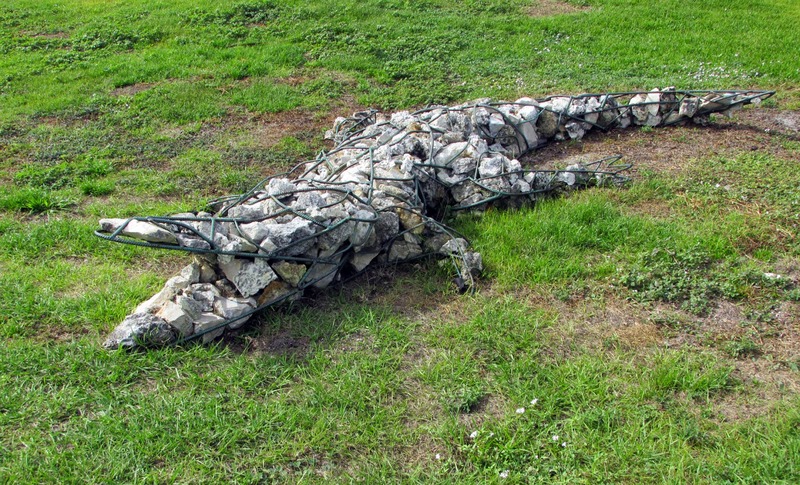 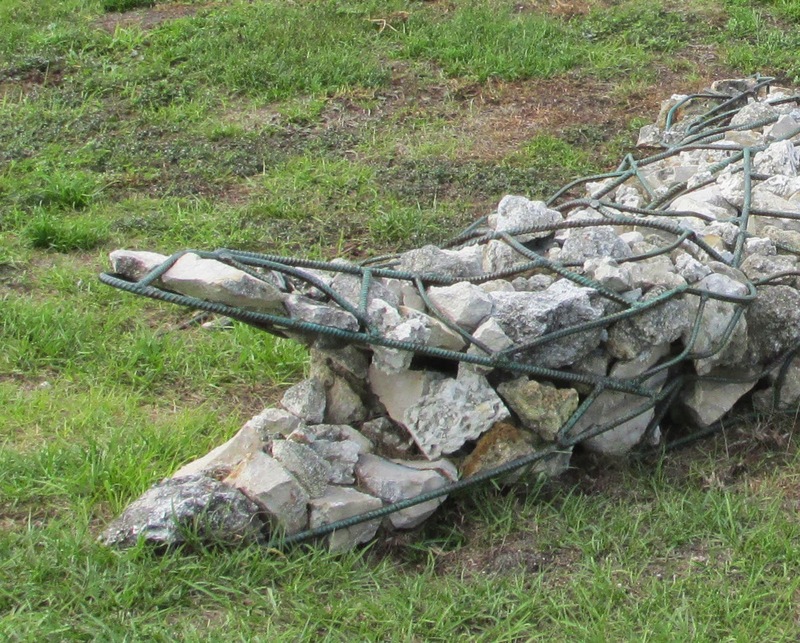 Artist CR Grey of Key West has fashioned an alligator made out of stones and wire that looks quite real at a distance is very amusing up front. 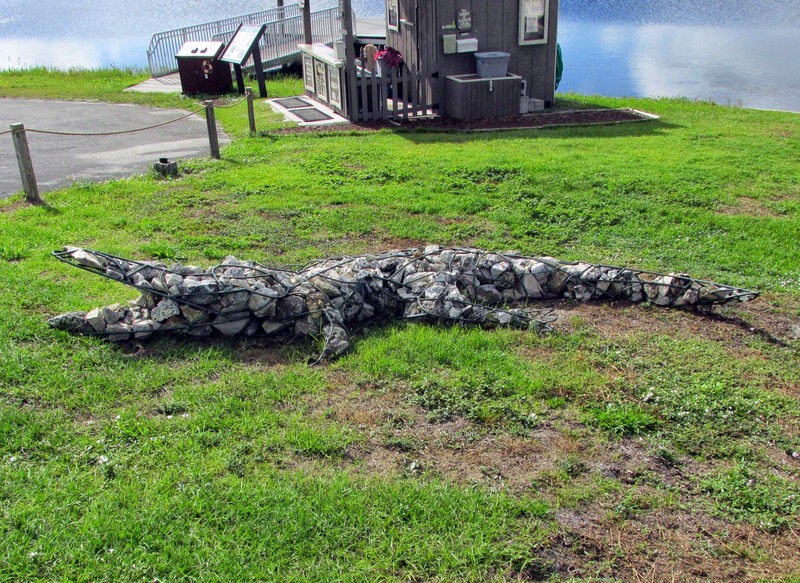 He sits sunning himself, as if to say "Welcome to the Everglades, y'all." 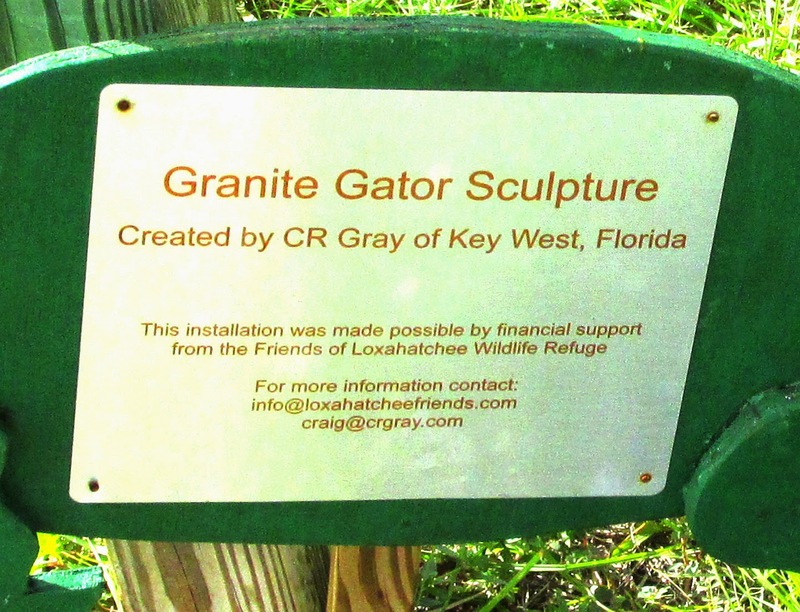 Good on you, Arthur R. Marshall Loxahatchee National Wildlife Preserve for throwing in a bit whimsy with the wildlife...you rock our world and that's no crock!